LANCIA MODELS. LANCIA - MUSA (350) - 1.3 D Multijet 10.04 - MPV 51 70 1248. LANCIA - MUSA (350) - 1.3 D Multijet 09.06 - MPV 66 90 1248. LANCIA - Y (840A) - 1.2 (840AA, 840AF1A) 03.96 - 09.03 Hatchback 44 60 1242. MUSA 1.3 D Multijet KW: 51 HP: 70. MUSA 1.3 D Multijet KW: 66 HP: 90. MUSA 1.3 D Multijet KW: 70 HP: 95. LANCIA THESIS 841 AX 2.4 JTD. We are also not responsible for installation errors, labor expenses, or any other expenses that may occur. Lancia tesis 2.4 Jtd Balancines Conjunto 20 un. THESIS (841AX) 2.4 JTD 841 G.000 (175). THE PRICE IS FOR 20 ROCKER ARMS. Peugeot 0903. CITROËN 0903. 2.2 HDi (DC4HXB, DC4HXE) Diesel 2179 98 133 4 Schrägheck / Hatchback 03.2001 - 08.2004. 2.2 JTD Diesel 2179 94 128 4 Großraumlimousine / MPV 08.2002 - 08.2006. 2.2 HDi (RC4HXE) Diesel 2179 98 133 4 Schrägheck / Hatchback 09.2004 - X.
Palanca de arrastre INA 422000210. conveniente para el div 2.0 2.2 litros motores HDI en el Citroën - FIAT - LANCIA - PEUGEOT. Bajo ciertas circunstancias sin embargo, estos datos no es suficientes para eliminar la ambigüedad de la parte que buscas. Scudo 2.0 JTD 220 (1996-2004) 02/00-04/04. Scudo 2.0 JTD 220 (2004-2007) 03/04-12/05. Scudo 2.0 JTD 220 (2004-2007) 03/04-12/06. Ducato 2.0 JTD 244 (2002-2007) 05/02-12/06. Ulysse 2.0 220 (1995-2003) 01/00-08/00. LANCIA PHEDRA (179) 2002. LANCIA ZETA (220) 1995-2002. PEUGEOT CITROEN FORD FIAT 2.0 2.2 HDI DW10 DW12 ENGINE ROCKER ARM SET 16 PCS. CITROEN C5 Break (DE_) 2001-2004. CITROEN C5 Break (RE_) 2004. CITROEN C5 Break (TD_) 2008. 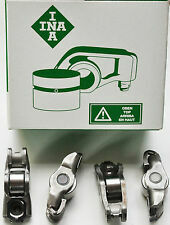 Lancia 1.3 1248cc JTD & Multijet D. Set of 16x Rocker arm & 16x Hydraulic Lifters. OEM Part Number 5640587 73501138 12840-85E00-000. Engine Information. Engine Type 4 cylinder 16v CDTi Diesel. CITROËN (90346). PEUGEOT (90346). CITROËN PEUGEOT FIAT LANCIA. 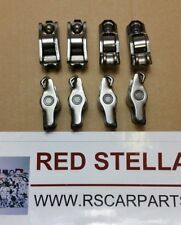 ROCKER ARMS X 6. 2.1 TD (2088ccm). 2.5 TD( 2446ccm). Relay 2.5 TD 230 (1994-2002) 06/94-06/97. Boxer 2.5 TD 230 (1994-2002) 06/94-07/97. Scudo 2.0 JTD 220 (1996-2004) 02/00-04/04. Scudo 2.0 JTD 220 (1996-2004) 12/02-04/04. Scudo 2.0 JTD 220 (2004-2007) 03/04-12/06. Ducato 2.0 JTD 244 (2002-2007) 05/02-07/06. Ducato 2.0 JTD 244 (2002-2007) 05/02-12/06. THESIS (841AX) 2.4 JTD 841 G.000 (175). THE PRICE IS FOR 10 ROCKER ARMS. LANCIA PHEDRA ZETA. 2.0 D JTD 2.2 JTD. Scudo 2.0 JTD 220 (1996-2004) 02/00-04/04. Scudo 2.0 JTD 220 (2004-2007) 03/04-12/05. Ulysse 2.0 JTD 179 (2003-2006) 01/03-09/06. Ulysse 2.2 JTD 179 (2003-2006) 01/03-09/06. Ducato 2.0 JTD 244 (2002-2007) 05/02-12/06. Scudo 2.0 JTD 220 (1996-2004) 02/00-04/04. Scudo 2.0 JTD 220 (2004-2007) 03/04-12/05. Scudo 2.0 JTD 220 (2004-2007) 03/04-12/06. Berlingo 2.0 HDi (2002-2012) 10/02-12/07. LANCIA PHEDRA ZETA. 2.0 D JTD 2.2 JTD. Scudo 2.0 120 Multijet 270 (2007-2017) 01/07-03/11. Scudo 2.0 120 Multijet 270 (2007-) 01/07-. Scudo 2.0 140 Multijet 270 (2007-2017) 01/07-03/11. Scudo 2.0 140 Multijet 270 (2007-) 01/07-. 1348CC 1.3 JTD D DIESEL. 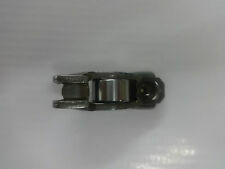 ROCKER ARMS SET. 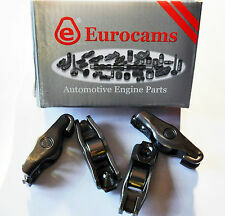 ROCKER ARMS x 16 pcs. PRICE FOR FULL ENGINE (as shown on pictures). FAI CAMSHAFT KIT fiting position EXHAUST / inlet X1- C332 X1 -C333. Scudo 2.0 120 Multijet 270 (2007-) 01/07-. Scudo 2.0 JTD 220 (1996-2004) 02/00-04/04. Scudo 2.0 JTD 220 (2004-2007) 03/04-12/05. Scudo 2.0 120 Multijet 270 (2007-2017) 01/07-03/11. 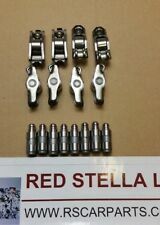 8x Schlepphebel INA 422 0002 10. Schlepphebel der MarkeINA 422000210. 8 Stück Schlepphebel. passend für div. 2,0 2,2 Liter HDI Motoren im CITROEN - FIAT - LANCIA - PEUGEOT. dessen Ausstattungsvarianten (z.B. Motorcode, verbautes Bremssystem) nicht umfassend wiedergegeben, sind fehlerhaft oder nicht bekannt. LANCIA PHEDRA ZETA. 2.0 D JTD 2.2 JTD. 1 HYDRAULIC LIFTER. Scudo 2.0 JTD 220 (1996-2004) 02/00-04/04. Scudo 2.0 JTD 220 (2004-2007) 03/04-12/05. Ulysse 2.0 JTD 179 (2003-2006) 01/03-09/06. Ulysse 2.2 JTD 179 (2003-2006) 01/03-09/06. FAI CAMSHAFT fiting position / EXHAUST C333. Scudo 2.0 120 Multijet 270 (2007-) 01/07-. Scudo 2.0 JTD 220 (1996-2004) 02/00-04/04. Scudo 2.0 JTD 220 (2004-2007) 03/04-12/05. Scudo 2.0 120 Multijet 270 (2007-2017) 01/07-03/11. MUSA 1.3 D Multijet KW: 51 HP: 70. MUSA 1.3 D Multijet KW: 66 HP: 90. MUSA 1.3 D Multijet KW: 70 HP: 95. THE PRICE IS FOR 16 ROCKER ARMS. 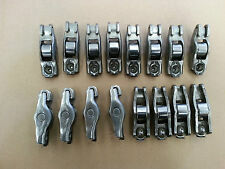 PEUGEOT CITROEN FORD FIAT 2.0 2.2 HDI DW10 DW12 ENGINE ROCKER ARM SET 16 PCS. CITROEN C4 Coupe (LA_) 2004. CITROEN C4 Grand Picasso (UA_) 2006. CITROEN C4 (LC_) 2004. CITROEN C4 Picasso (UD_) 2007. CITROEN C5 Break (DE_) 2001-2004. Conveniente para el div 2.0 2.2 l motores HDI en el Citroën - FIAT - LANCIA - PEUGEOT. 8 x seguidor de leva INA 422 0002 10. Bajo ciertas circunstancias sin embargo, estos datos no es suficientes para eliminar la ambigüedad de la parte que buscas.